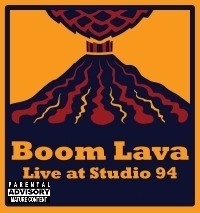 This recording of Boom Lava was recorded live in the studio with no overdubs, thus allowing the listener to hear the band in its purest form. Live and uncensored!!!! The eleven original songs that are featured on this album are a mixture of Reggae and Funky Hip-Hop. Freestyle Rhymes and the sounds of a Live DJ can also be found on these tracks. The cost of $12 includes shipping in the United States. These custom printed t-shirts are a Boom Lava exclusive for Friends, Family, and Fans. They are made of high quality 100% cotton material and are "natural/beige" in color. 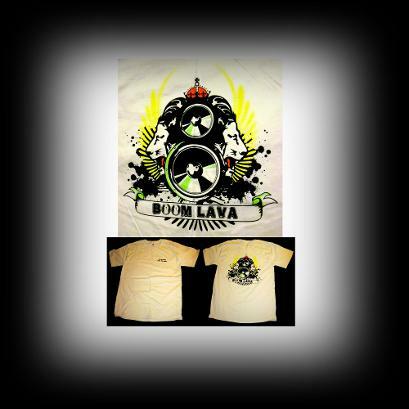 The quote on the the left front breast is entitled "Boom Lava - Feel the Heat" and the back is a classic Rasta Lion with the Boom Lava tag. The shirts cost $25 plus shipping, or you can waive the $5 shipping fee+ if you purchase it at any of Boom Lava's live events. 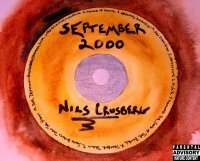 This is a full length LP written, recorded, engineered, and produced by Nils Crusberg. The instrumental selection includes Guitars, Bass, Drums, Vocals, Saxophone, and Keyboards. All performances on the recording are credited to Nils Crusberg. It covers a variety of styles including but not limited to Soul, Reggae, Rock, Funk, Hip-Hop and Folk. The cost of $15 includes shipping in the United States. All aspects of this full length LP were created by Nils Crusberg. The instrumentation includes Acoustic and Electric Guitar, Bass, Drums, Vocals, and Saxophone. 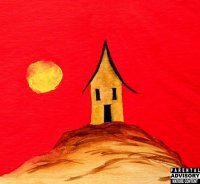 It is a blend of Reggae, Funk, Jazz, and Folk. It was originally recorded on a Tascam 4 track recorder using a complicated system of bouncing tracks to accommodate as many instruments as possible. The LP was later digitized and remixed.